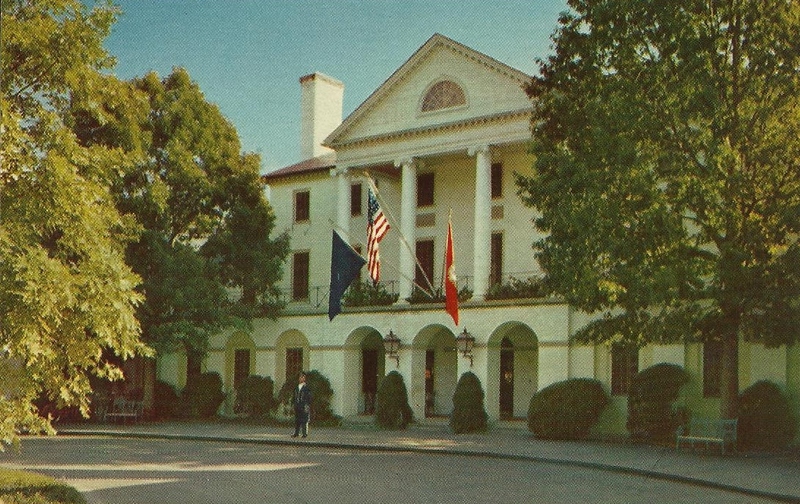 One of America's famous hotels, known for its luxurious setting and cuisine. Recreational facilities include golf, tennis, swimming in the beautiful outdoor pool in season, cycling, wooded walks, and court games. 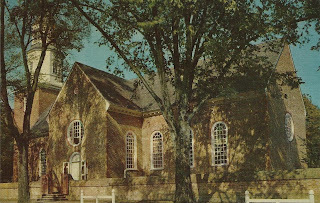 Bruton Parish Church, completed in 1715, is a fine example of the colonial church in America. 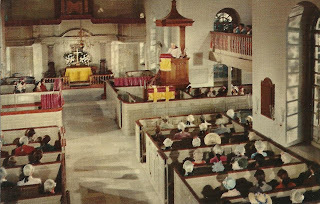 the walls and windows of the church are original, but much of the interior woodwork was torn out during the nineteenth century. The interior, partioally restored in 1905, and more completely in 1938, once again resembles its eighteenth- century appearance. This view, which recreates and eighteenth-century service in Bruton Parish Church, was taken from the Paramount-Colonial Williamsburg film "Williamsburg - The Story of a Patriot." 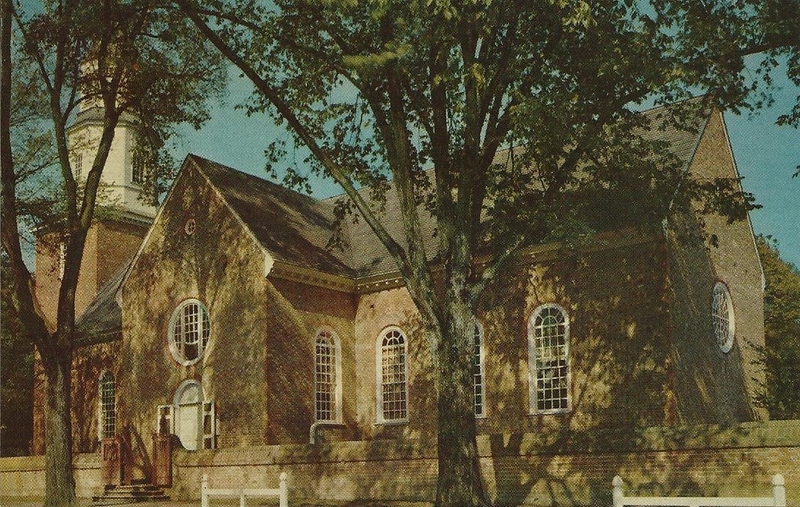 The historic church, now restored to its eighteenth-century appearance, was the Court Church of the Virginia colony. Here many great American patriots, including George Washington, Thomas Jefferson, John Marshall, and Patrick Henry, worshipped. It has been in continuous use since colonial days.